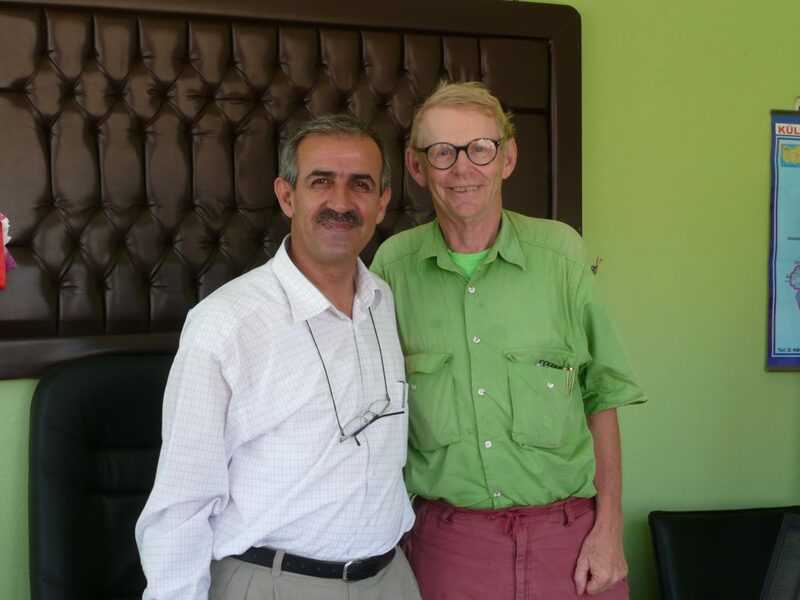 Professor Bill Cook ’66 visits with a mufti in Hasankeyf, Turkey. 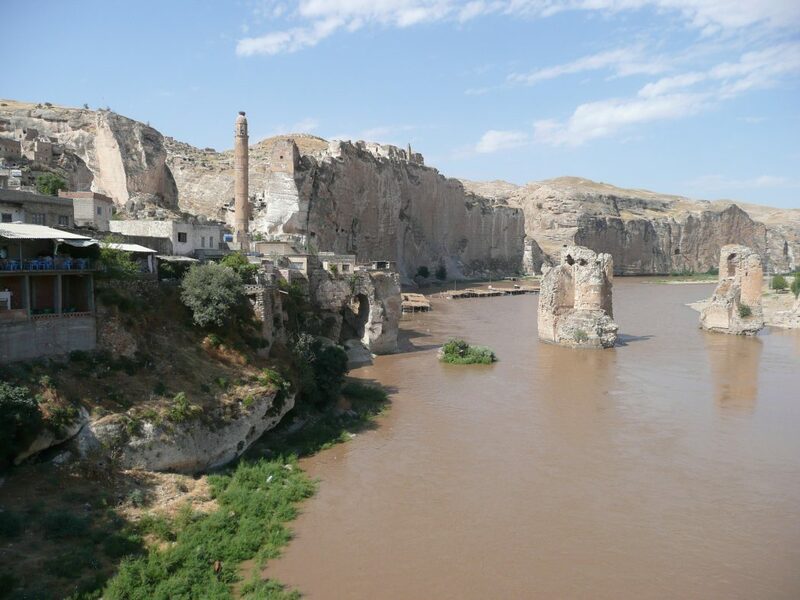 Hasankeyf, a city that will be destoryed by the new Ilisu Dam on the Tigris River. Professor Cook's Japanese travel companion "and his new friends outside the tent where I thought we would die." 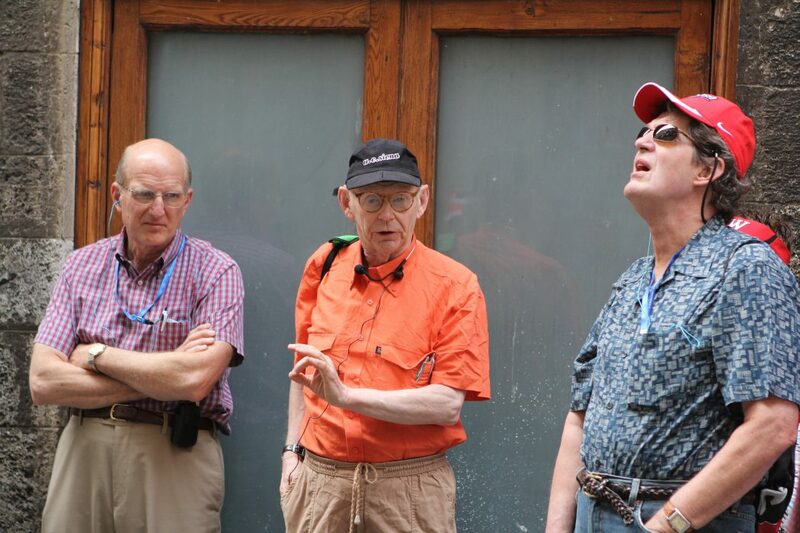 Professor Cook has taken Wabash students, faculty, staff, and alumni around the globe. 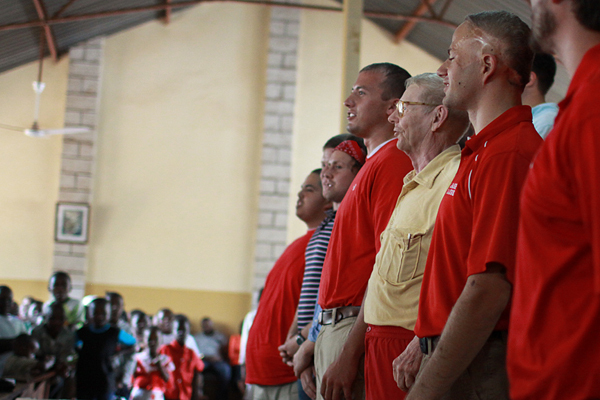 Here he sings "Old Wabash" with students in Nairobi, Kenya. 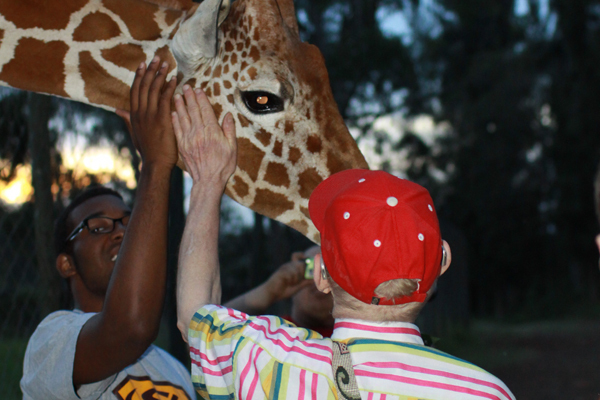 Greeting a giraffe outside of Nairobi. 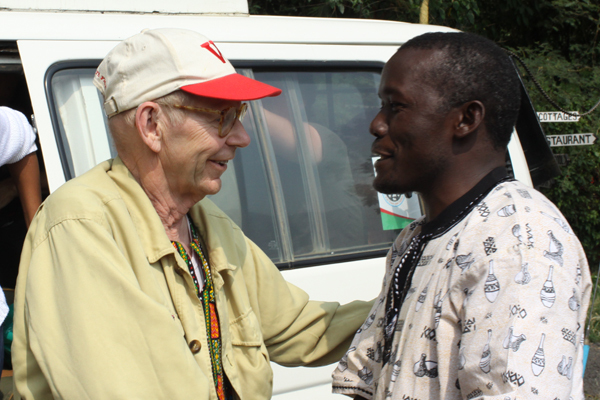 Greeting Father Godfrey in Nairobi, Kenya. 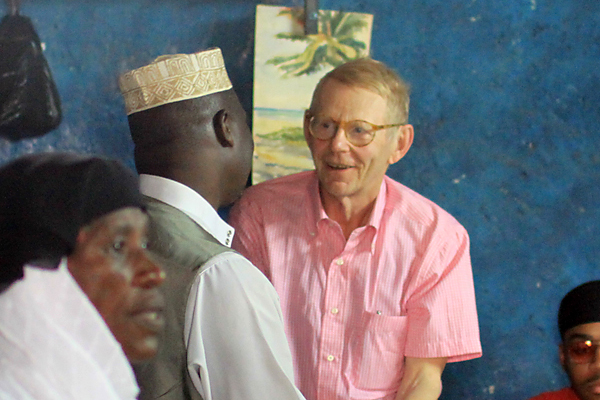 Bill talks with peacemakers in Kibera, Kenya. Students and friends after Pentecost services at St. Francis Church outside of Nairobi, Kenya. 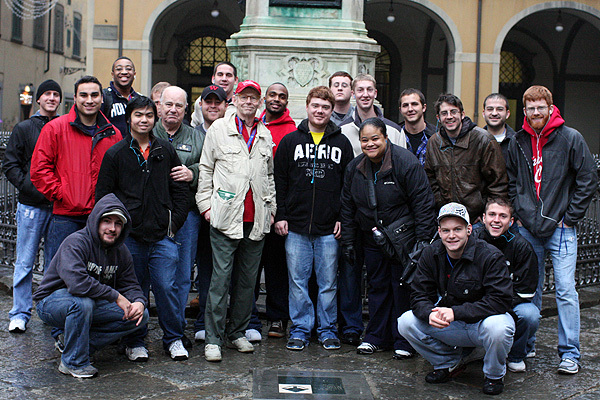 Leading a group of students to Florence, Italy, in 2010. Leading alumni in Siena, Italy. The oldest man calmly got up, pulled out an AK-47, and then loaded it and waved it toward us. I was sure he was going to shoot us. Turkey is spectacular and worth lots of exploration. A few years ago I was driving across Turkey with a student of mine from Japan. We went to the town of Hasankeyf, which is soon to be flooded and will disappear after several thousand years of history because of a dam constructed on the Tigris River. There I met a mufti (something akin to a Muslim bishop) who invited me to his office. We talked about St Francis and about Dante and about Muslim extremism. He loved the first, was wary of the second, and denounced the third. Now we occasionally exchange emails. When we were about 5 kilometers from the Iranian border, we passed a nomadic tent city. I thought we should stroll around. 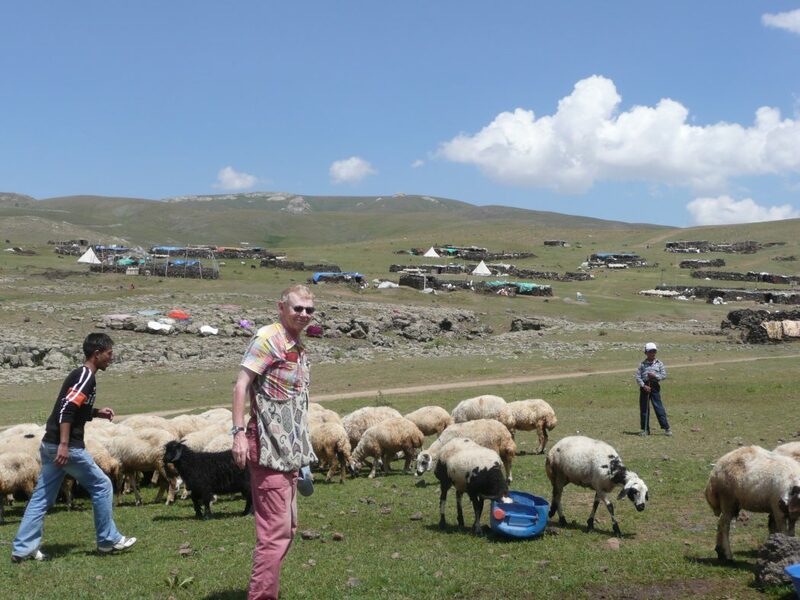 How often does one get to mingle with nomads, I wondered. 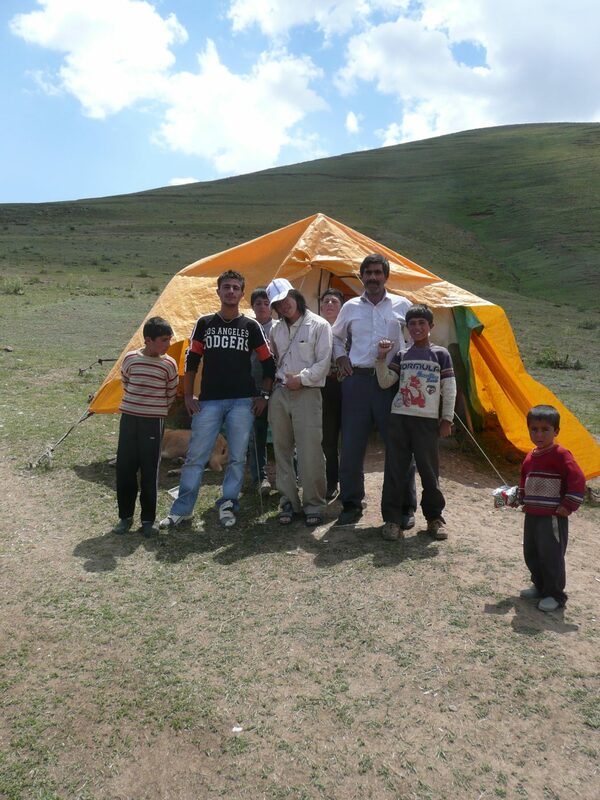 After some initial suspicion, a family—actually the men in a family—invited us to their tent for tea. For a while we had a rollicking good conversation about Turkish football (soccer). Actually they had the conversation. Since I could not speak Kurdish, I only said two words—the names of the two fiercest rivals in the Turkish premier league. It was something akin to asking if they were Yankee or Red Sox fans. They did all the talking, but at the end they seemed to think that I had participated in the conversation. After one nod, the oldest male calmly got up, walked to his cot, lifted the mattress, pulled out an AK-47, showed us it was not loaded, and then loaded it and waved it toward us. Apparently my last ‘yes’ nod should have been a resounding ‘no’. I was sure he was going to shoot us. I realized that if he did, no one would ever know what happened to us. My rental car was not due in Istanbul for a week. One nomad with a bit of English had explained that anything he gets his hands on he takes into Iran and sells. There goes the car, I thought. We will be buried in the field they would soon be moving on from. My only consolation was the possibility that 500 years later, the discovery of our bones by archaeologists would cause quite a stir. What were this old Caucasian and young Japanese doing there 500 years earlier? We would either aid an archaeologist to get tenure or we would drive him or her mad. As I was thinking these things, the man unloaded the gun, put it under his mattress, sat down, and offered us another cup of tea. He had made his point. Our conversation continued but without my nods. We exchanged gifts before we drove away. A few years ago while driving through Armenia, I stopped at sunset in a town near a monastery I wanted to visit. I quickly discovered that there was one hotel, and all four of its rooms were all taken. I walked into the main square and finally found a young man who spoke a bit of English. I asked this fellow if he knew of anywhere I could stay. He thought for a moment, then asked if I would be willing to stay with his parents. We went to their apartment. The parents agreed and moved out of their bedroom so I could sleep there. Then the mother cooked me a very good Armenian meal. Of course I left them a nice payment, but they never asked for it and were sincerely grateful. 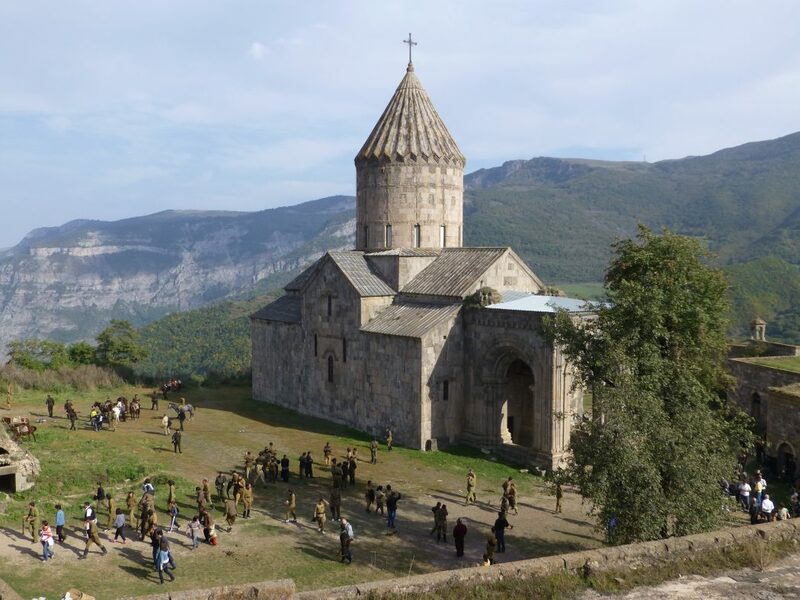 On another day I decided to drive about six hours to a medieval Armenian monastery. After some careful navigation I eventually rounded a bend in the road, and there was the monastery in all of its beauty. And it was being attacked with guns and swords by men on horseback with big fur hats. What in the hell was going on? Had I time traveled? Are Cossacks still roaming the Caucasus? As I stood watching this with disbelief along with a few other people, someone explained that a movie was being made. Within two hours, I was in the monastery and mingling with real monks and actors dressed like Cossacks and smoking cigarettes. So, what do these stories teach us about travel? Wherever you are, do more than the guidebooks tell you to do. If you are willing to drive in a foreign country, then don’t just get on the super highways and drive from city to city. Wander. Wonder. Stroll around both towns and countryside. Accept an invitation. [Don’t nod without knowing what you are agreeing to!] Be ready when opportunity comes along. Don’t starve yourselves, men of Wabash! 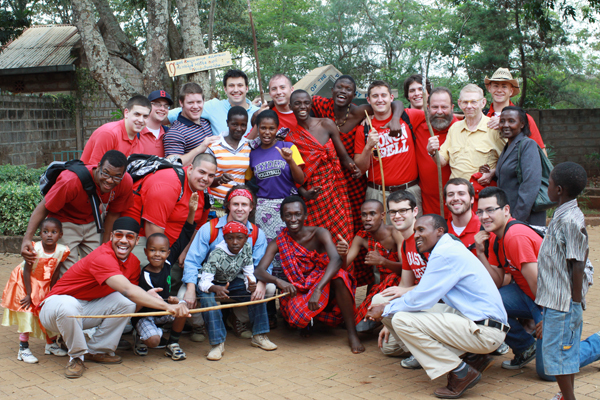 Read more alumni travel stories in the current print edition of Wabash Magazine. What Does It Mean to "Travel Well"?